Mr. Voss is a teacher. He has lost something in the later years of his career. Motivation is no longer there to boil the blood in his veins, pump adrenaline into his cellular structure or light his fire when he sees the hungry faces of his students waiting to learn something in his classroom. Then, life throws him a curve. A ornery vice principal gets his goat. A good friend is facing a lay-off. His school is threatened with major cut backs to meet budget. Emotionally, he is ready for action. He just isn’t sure what to do. No one else is helping so he launches a hair-brained scheme to raise the funds to save the school music program and keep his friend the music teacher employed. No bake sales for this hero. No garage sales for this stud of a man either. Instead, an opportunity falls into his lap while moonlighting as a teacher preparing immigrants to become US citizens. Once an accomplished wrestler 20 years ago, he enters the world of mixed martial arts to win the lowly prize money offered to the loser of a match. It is crazy but comical. Hence, the “schtick” around which this movie revolves. Kevin James is the perfect cast for this role. He has the persona ideal for this crazy heroic part. Add the talented Selma Hayek for the romantic and raucous banter and you have a fun movie for us silver screen fans. Included in this well-selected cast are the immigrant former UFC now aerobics trainer, a Filipino honor student who happens to be an outstanding musician and Henry Winkler playing the music teacher about to lose his job and the energy of the movie keeps on getting better and better. The movie started off a little goofy and unrealistic. But, it just kept getting more interesting and very entertaining as time passed. Layer after layer of people impacted by the life of our star keeps you intrigued, remembering and thinking about how one life that courageously lives for the benefit of others really does touch a lot of people. Everyone sees the trailers of new releases. Sometimes we realize too late that the peeks are the best parts of the movie. This is not one of those movies. 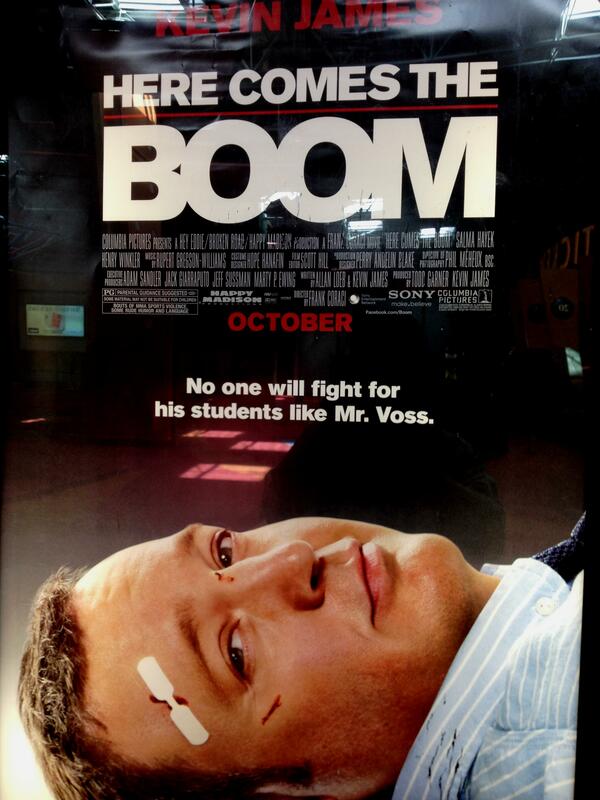 Here is the movie: Mr. Voss regains the grip he lost. He is ready when Bella congratulates him. You cheer when Malia (Charice) sings.